Miss Grace A. Lane, steno-diesel clerk, marking up engines. Board has 28 diesels marked for trains. 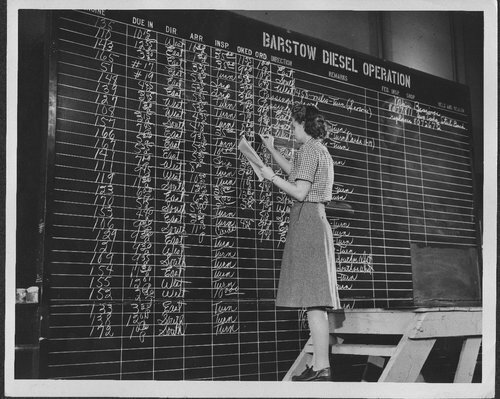 They are mostly FT models, only one PA.
Locomotive dispatching board, Barstow Diesel Shop, California.